What is your biggest age give-away? Smile lines? The back of your hands? The multiple lines on your neck? Wrinkle lips? 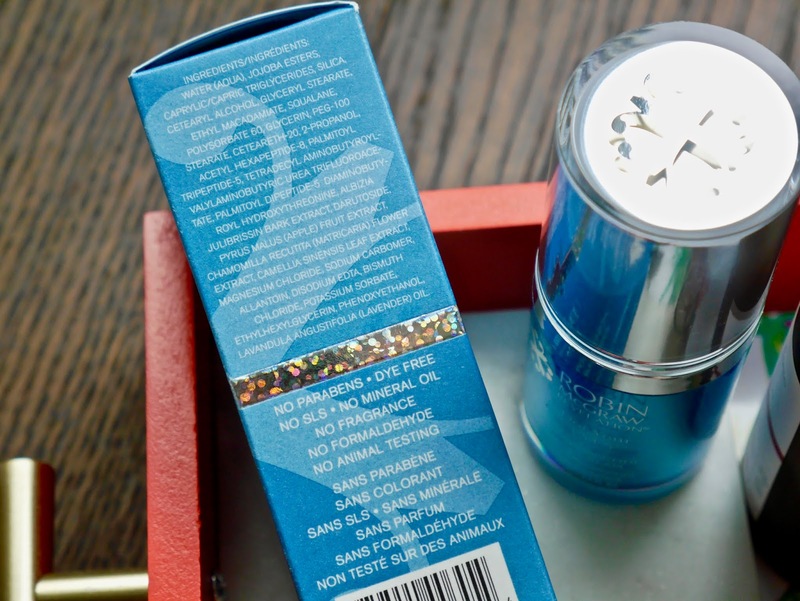 Crows feet, wrinkles, fine lines and the whole nine yards around your eyes? Mine would be around my eyes and unfortunately the ever growing lines on my neck are also a dead give-away that I am almost 40. I have yet to find any product that helps to diminish my neck lines but I have discovered a few products for the eyes and the one that is featured today is definitely one of the better ones. 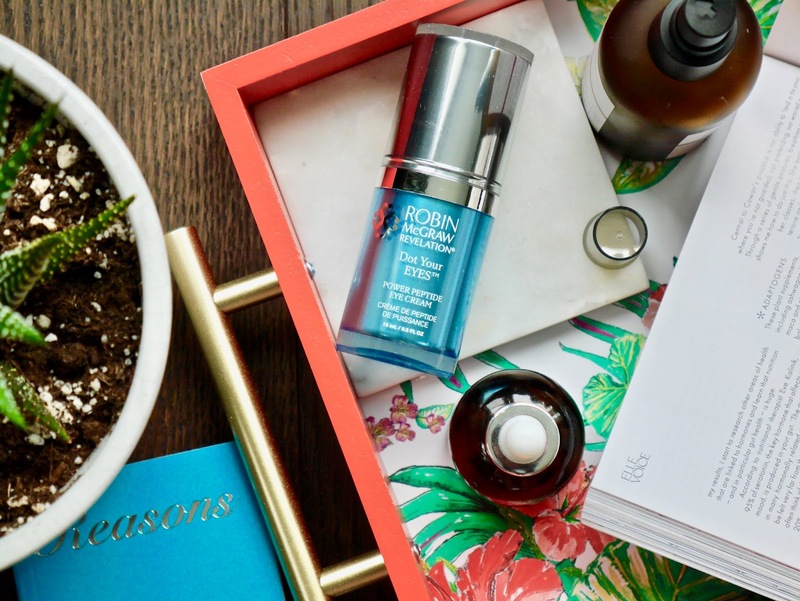 Let's talk about the newest star in my routine, Robin McGraw Revelation Dot Your Eyes Eye Cream*. 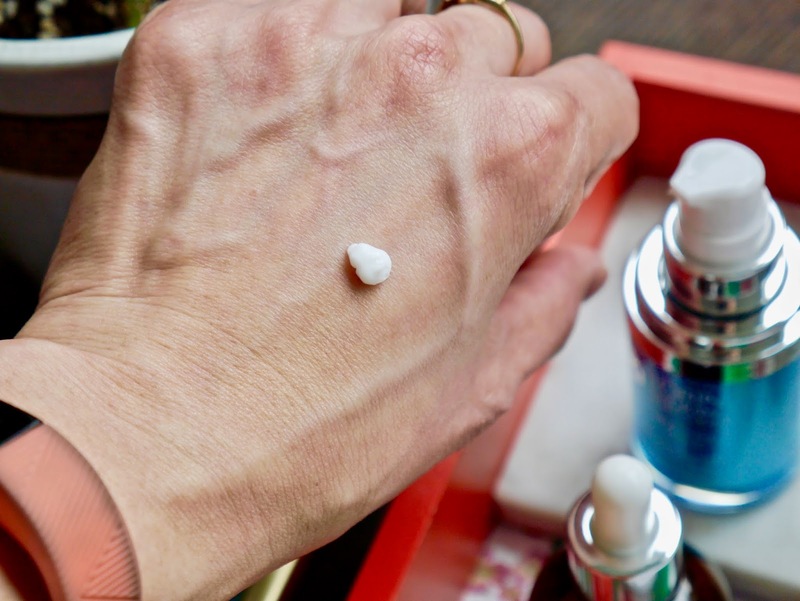 Just like all her other products, this eye cream is packed with amazing ingredients and it's aimed to combat puffiness, dark circles, under eye bags, crow's feet, sagging skin, fine lines and wrinkles. Personally I am doubtful that an eye cream is able to help with sagging skin, dark circles and eye bags because these are usually genetics but unfortunately (or fortunately) I can't attest to these claims as I don't have these problems. I will give credit where credit is due, Robin McGraw Revelation definitely knows how to do packaging. No, I'm not talking about the blue and silver designs, I'm referring to the opaque plastic and the fact that it comes with a pump. It's hygienic, you get to pump up the right amount of product, the ingredients stay fresh longer and there is minimal risk of contamination. Actually most of her products come in either a pump or airless pump and in opaque bottles to protect them from sunlight. Texture wise it's a light cream that sinks in within a few taps and it wears beautifully under makeup. My concealer doesn't crease, powder doesn't sink into fine lines, it's the perfect eye cream paired with makeup. I have been using this for a month and the biggest difference I noticed was my eye areas are no longer as dark and fatigued. My fine lines are definitely still there (a cream will not banish them for good) but they are considerably softened and hydrated. 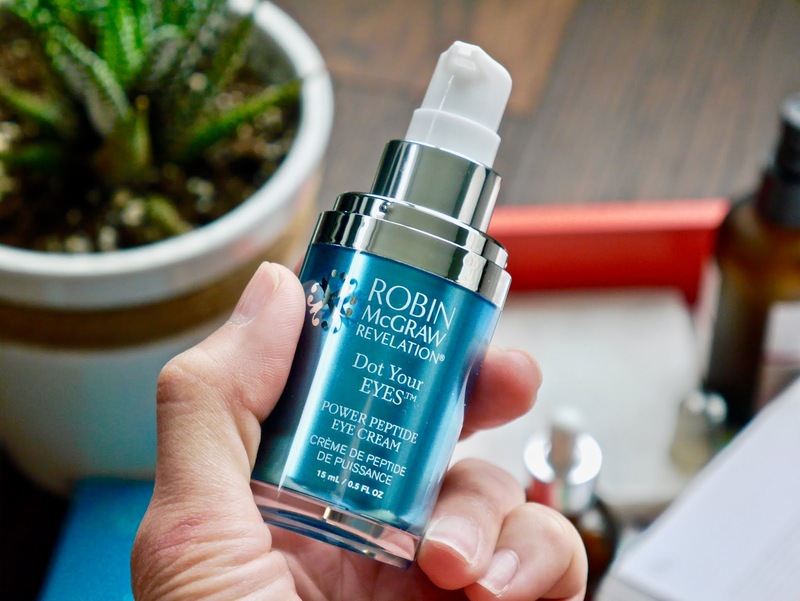 Robin McGraw Revelation Dot Your Eyes Eye Cream* gives me the same wonderful results as IT Cosmetics Confidence In An Eye Cream (reviewed here) but I personally love this better due to better packaging. Will I be repurchasing? 110% yes in the future when I finish the other eye creams that are currently waiting in line to be tested. The price is actually reasonable, the packaging is brilliant, the ingredient list is lovely and my eye areas look better with it.